Also known as internet surveys, online surveys have become quite popular lately. Being one of the easiest sources of data collection, with an online survey, all you would have to do is set a few questions and put them in front of your target audience. Not just that, but the internet has even made it possible to make such surveys reach out to your audience seamlessly. Right from embedding over the website, sharing on social media, to sending through emails, there is a lot that can be done. If you are looking forward to gaining true and unbiased feedback from your customers, making use of an online survey can surely help you clear the obscurity. And, if you are using a WordPress website, one right plugin would be ideal for you to get the things straight. SurveyFunnel is one such plugin that can help you create, organize, and maintain an online funnel with ease. Here is an in-depth review of this plugin. Let’s understand more about its features and advantages. 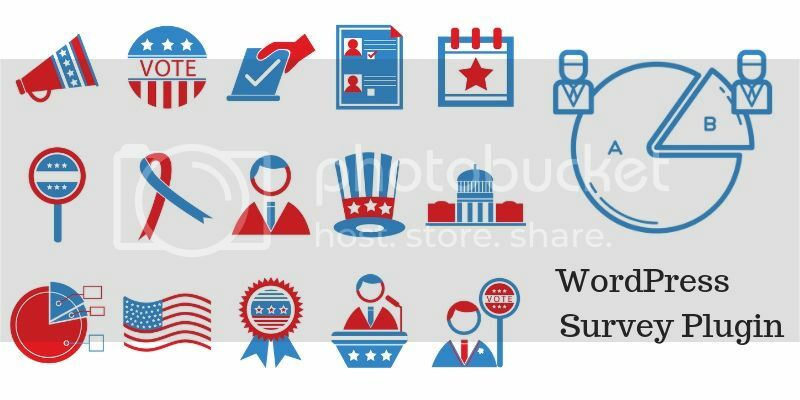 It is a responsive survey plugin for WordPress that helps to create questionnaires, surveys, feedback forms, and polls. The entire intention behind creating such a plugin is to raise curiosity among website visitors and attract them to participate in surveys, ultimately increasing the conversion rates as well as revenues. This WordPress plugin enables targeting website visitors based on specific details and providing them with such offers and deals that would intrigue them the most. Being an intuitive survey plugin, it lets you set up survey simply and elegantly. Be it capturing leads or increase conversion rates; there is a lot that this plugin provides. 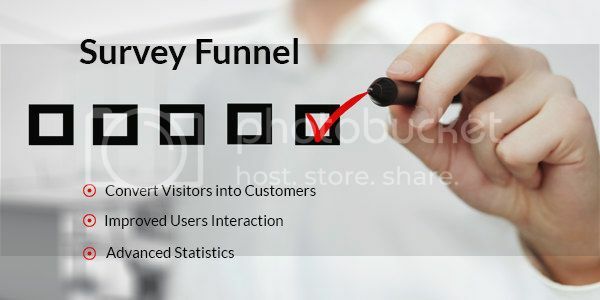 The importance of SurveyFunnel can be proven from the fact that even top marketers, such as Rand Fishkin and Neil Patel have been using this plugin to make the most out of it. If you want your website visitors to respond to your surveys or questionnaires, you would first have to put in efforts to keep them engaged on your website. And, one of the significant ways of doing so is by providing them what they exactly are looking for. Out of all the amazing features, SurveyFunnel has been integrated with the powerful conditional logic that lets you create the next questionnaire depending on the way users responded earlier. Not just it proves out to be a great way to keep the visitors hooked, but to increase the conversion rate as well. According to the preference of your target audience, you can create an entirely different segment, dedicated to their needs and requirements. In this way, you can simply gather more information about them, build your email list, and create a sales funnel as well. While creating surveys on the website, giving priority to the appearance is quite important. Keeping this in mind, SurveyFunnel not just allows you to add questions and make a survey monotonous, but you can even add alluring images as well as videos. To enhance the user experience, even more, this plugin allows you to embed videos from external sources, including YouTube, Viddler, Vimeo, and more; hence, making the entire survey look attractive. SurveyFunnel even comes with advanced statistics and super analysis. With the help of its statistics dashboard, you can gain insight into visitors’ information. Furthermore, you can even download the data into a spreadsheet for further analysis. This method will help you understand how your visitors are responding to the available surveys and you would be able to take actions accordingly. Amidst a myriad of advantages that online surveys provide, being able to execute a proper email marketing strategy is one of the effective ones. And, SurveyFunnel helps you do this in an elegant manner. This WordPress survey plugin also makes third-party integration easier and simpler. If you want to execute email marketing appropriately, you can integrate your online forms with Aweber, Icontact, GetResponse, MailChimp and other supportive email marketing platforms. In the world dominant by mobile-users, you cannot use such a tool or a plugin that wouldn’t support small screens as much as it would handle the quality on big screens, right? So, when it comes to supportiveness, this plugin ensures better quality on different devices. Right from a mobile phone to a tablet, this plugin can help you create surveys for every device easily. Furthermore, it can even adjust to varied screen sizes without causing much of a trouble. One of the best things about SurveyFunnel is that it provides you the freedom of experimenting. Since it comes with predefined themes, you can choose the one that would support your website’s appearance altogether. And then, you even get several options to display the survey. Either you can showcase it as a sidebar or display on the entire web page. If more is what you need, you can even use these surveys as widgets on your website. Setting a slider survey is as easy as a cakewalk. You can display the option on the left side of the screen in the form of a slide-out box. Add images and choose questions to start with. You can even select certain pages or posts where you would like the survey to appear. Whenever a visitor clicks on any image on your website, you can allow a survey to pop up. All you have to do is add images to act as a trigger whenever you want the popup to come up. And, it’s done. If you want, you can even generate shortcodes to embed a survey funnel on any page or post on the website. Once you have installed and activated SurveyFunnel plugin on your WordPress website, visit the dashboard, and you will find the icon on the left-hand side. While creating surveys, you can even provide it a start and an end date as per your requirements. After that, you can customize your survey in the Design option however you would like it to appear. You can edit the settings, funnel size, select themes, set trigger settings, add questions, choose a position, and much more. If you are buying SurveyFunnel as an individual plugin, you would have to shed $47 from your pocket. However, if you are looking for some discount, you can think of joining WPeka a premium WordPress plugins place, where you can find this plugin free of cost, along with several other themes and plugins. WPeka offers different membership plans, starting from $17 per month. You can even buy a quarterly or an annual plan. With these memberships, you can access several products by WPeka. You can even take a chance as they offer a 100% money-back guarantee within 30 days of the purchase. There is no denying the fact that competition is becoming stricter and visitors are turning selective. Thus, you may not have enough time to engage people before your website goes missing amidst the ocean of sites on the internet. Generally, a visitor doesn’t spend more than two minutes on a website. And, that is the timeline you get to charm them and leave an impression. Thus, with the help of this plugin, you can achieve your goals and objectives without hassles. So, the next time you feel the need of knowing your visitors’ preferences, likes, dislikes, and more; use this plugin for good. Next Evergreen Traffic Academy Review: Best Passive Income Method for 2019?